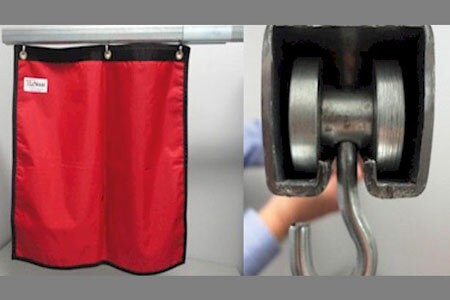 MarShield manufactures custom-configured lead curtains with an advanced heavy duty enclosed track / suspension system for medical, dental and industrial applications. Our lead curtains systems are an economical solution to provide radiation shielding in areas where a permanent wall is not practical and are ideal for areas with secondary or low-level radiation. Tailored to your unique requirements, MarShield lead curtains are available in a variety of lead equivalencies, colours, sizes, and configurations. Our heavy duty tracking system is available in both straight and curved sections, giving you ultimate flexibility when it comes to designing your lead curtain solutions.